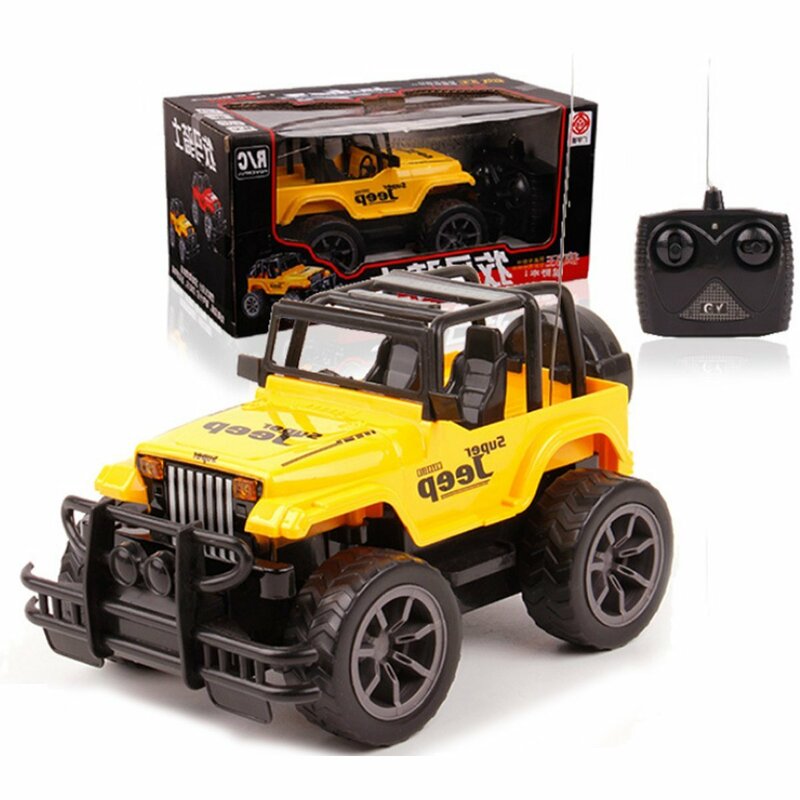 Home › Toys › Big Wheel Off-Road Remote Control Car Kids Electronic Toys Radio Control Vehi..
Big Wheel Off-Road Remote Control Car Kids Electronic Toys Radio Control Vehi..
Color: Jeep CY Big Wheel Off-Road Jeep Remote Control Car Kids Electronic Toys RadioControl Vehicle Material: High Quality Plastic Dimension: Model Car: 181011 cm/ 7.13.94.3inch Packaging: 271313.5 cm/ 10.65.15.3inch Package Include: 1 radio control vehicle & 1 remote-controller (Battery NotInclude) Basic Function: 1. Can move straight or back, turn left and right 2. Direction Modifiers 3. LED lights, highlight energy-saving, fun experience flying at night Note: 2 color, yellow and red; if you need specify color, please contact us. Product shiped from China,Estimated Delivery Date:10-18 NOTE: During charging, keep the device away from children to avoid danger.